The Draytek Vigor130 is your answer for cost effective, easy manageable WAN modem router. 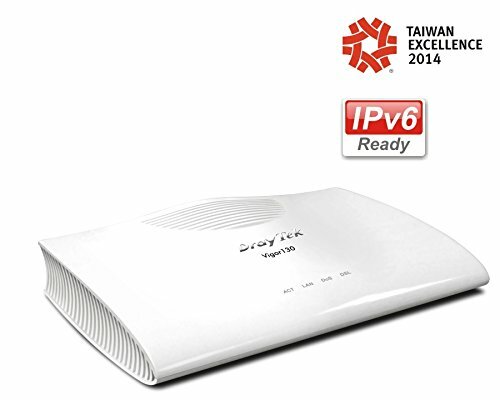 It is a VDSL2 WAN broadband router which is compatible with a variety of ADSL and VDSL standards, including VDSL2 vectoring, The Vigor130 provides an easy setup for the user by automatically detecting the link type and apply appropriate configurations. Vigor130 is an ideal Internet gateway especially for DSL services with triple-play applications, the support for multiple PVC allows the modem to access data, voice, and video services over a single link.